This great fitted crossover jacket is a flattering look for anyone—toss this jacket on over anything in your closet and instantly look put-together and polished. 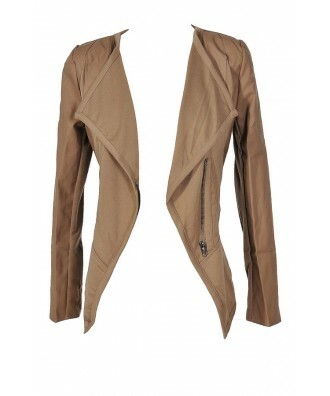 The Delia Leatherette Trim Crossover Jacket is made of two different fabrics. 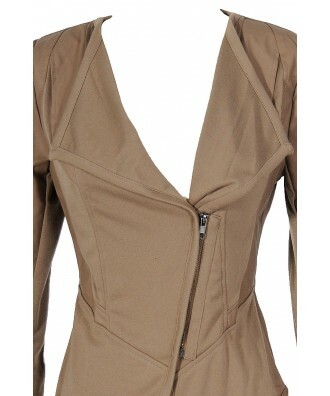 The body is made of a soft knit fabric and vegan-friendly leatherette trims the shoulders, sides, top back, and top of the arms. The front of this jacket crosses over and zips off to one side. The Delia Leatherette Trim Crossover Jacket would look great paired with denim, a fitted tank or top, and boots for a cute and casual day look. Details: Unlined. Animal friendly vegan leather. 60% cotton, 40% rayon. Contrast: 100% polyester. Dry clean only. Small measurements: Length from top of shoulder to hemline: 24”. Bust: 34”. 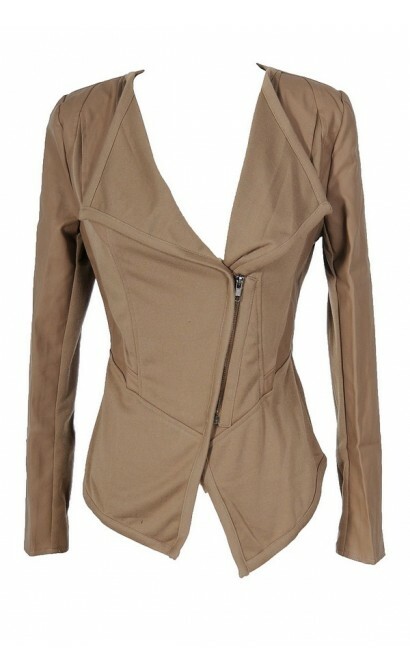 You have added Delia Leatherette Trim Crossover Jacket in Taupe into Wishlist. 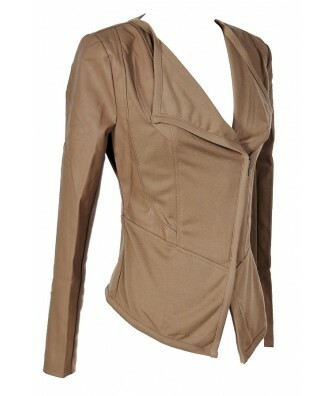 You have added Delia Leatherette Trim Crossover Jacket in Taupe for Stock Notification. 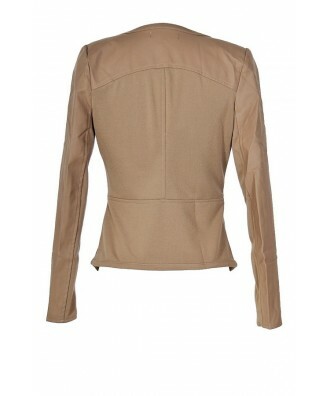 You have set Delia Leatherette Trim Crossover Jacket in Taupe as a loved product. 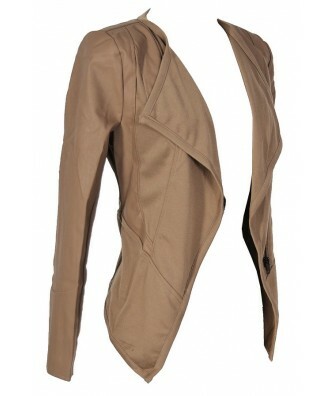 You have removed Delia Leatherette Trim Crossover Jacket in Taupe as a loved product.